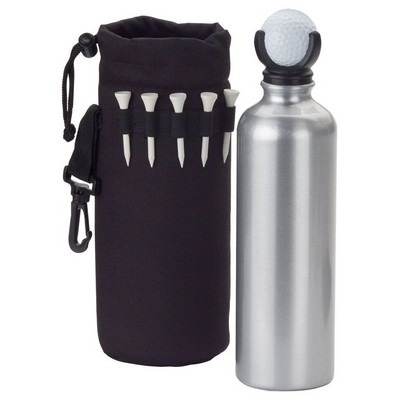 This sports drink bottle is supplied with a unique lid which holds a golf ball. 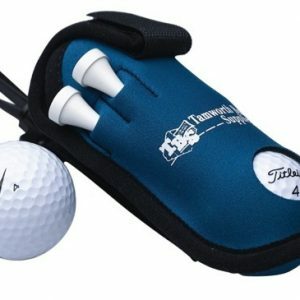 Insulated bag made from 600D material with clip and tee tidy makes a perfect golf accessory. Aluminium bottle tees and golf ball included.